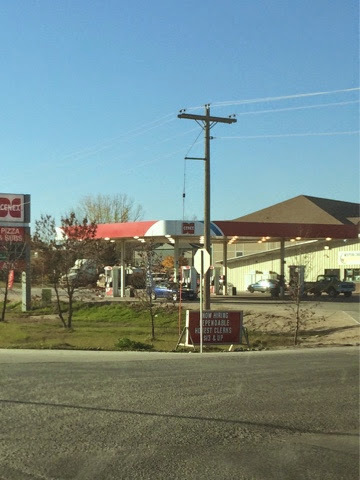 We see a lot of hiring signs in North Dakota. A booming economy does that. But sometimes my husband and I come across a sign that's unique and interesting. Something that goes beyond the "Apply Inside." Here are a couple of the signs we've noticed in our area. Little Ceaser's Pizza. Home of the $5.00 hot-and-ready pizza. 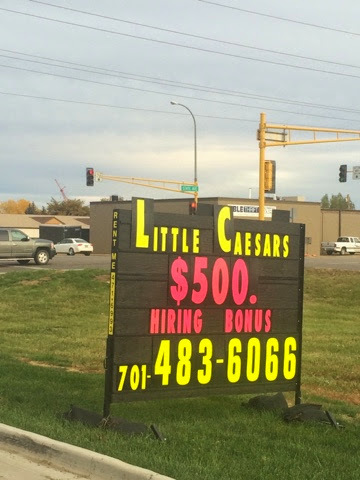 Also home of a $500 signing bonus, apparently. If the sign's creator had another line I think he would write "Riffraff need not apply." Have you seen any signs that make you stop and take a photo? Those are AMAZING...WOW! that is even big money for TEXAS!